Stock up on books for summer reading! Buy any book and get one FREE* this Saturday and Sunday at Goodwill! Read more. Spend less. Every day! Celebrate your Memorial Day with big savings at Goodwill! Take 20% off your entire purchase when you spend $20 or more at Goodwill on Monday, May 28. 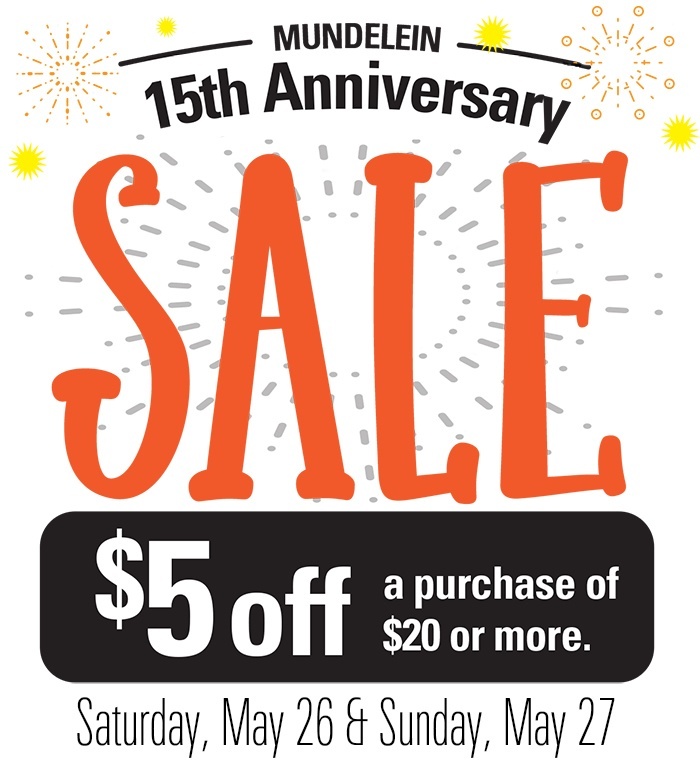 We're Having an Anniversary Sale in Mundelein! That's right, we're celebrating the 15th anniversary of our Goodwill Store & Donation Center in Mundelein! To celebrate this milestone, we're offering $5 off your entire purchase when you spend $20 or more on May 26 & 27! We're Celebrating YOU on May 15th! That's right, on the 15th of every month we celebrate YOU—our Club Goodwill REwards members! 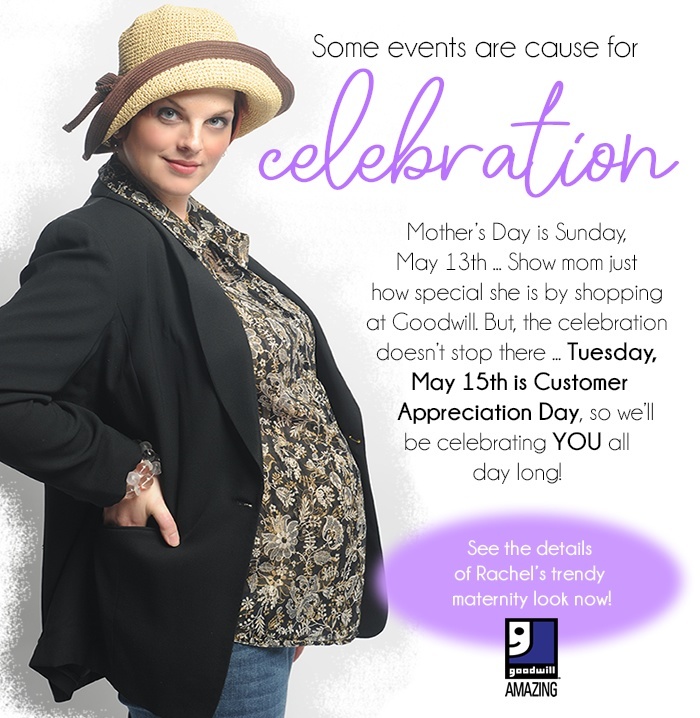 So shop Goodwill on May 15th and save more when you spend more! Spend $15, save 15%. Spend $20, save 20%. Spend $25 or more, save 25% on your total purchase! Goodwill is looking to fill all team member positions (both full-time/part-time and seasonal) at our Goodwill Store & Donation Center in Arlington Heights! No matter what job you have at Goodwill, you’ll be part of a team that makes a positive impact in the lives of individuals, their families and the communities where we operate. Are you ready to be transformed? 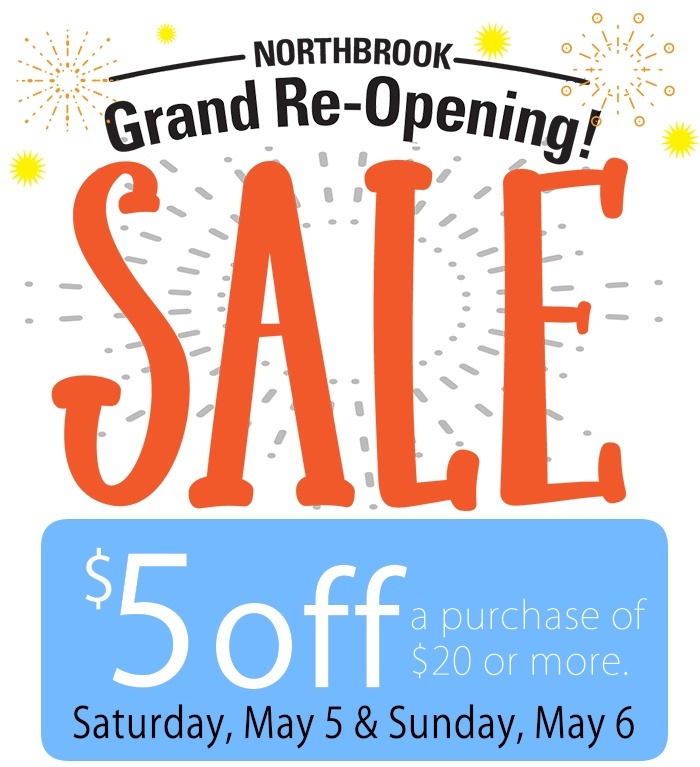 We're Having a Grand Re-Opening Sale in Northbrook! That's right, we're celebrating the Grand Re-Opening of our Goodwill Store & Donation Center in Northbrook! To celebrate the newly-updated store, we're offering $5 off your entire purchase when you spend $20 or more on May 5 & 6! Get your FREE Wisconsin Dells Summer Season Opener Card at Goodwill! Get your FREE Wisconsin Dells Summer Season Opener Card at Goodwill! The Season Opener card provides your family with a variety of savings everyone can enjoy in the Wisconsin Dells. Show Your Mom How Amazing She Is! It's easy to make Mother's Day special when you shop at Goodwill—we have something for every type of mom! Whether she enjoys fashion, sports, books, home décor (and so much more), you can spoil her this year by buying more while spending less! And, if you can't decide exactly what to get her, Goodwill gift cards also make great gifts!